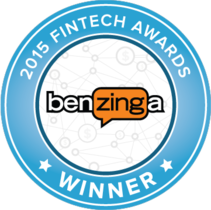 HedgeCoVest wins top honors at Benzinga Fintech Awards! HedgeCoVest is creating another option for people that normally wouldn’t be able to invest in hedge funds... We saw HedgeCoVest as creating another asset class. "A platform enabling investors to make allocations to hedge fund strategies in their own brokerage accounts." "With no gates, a low initial investment of $30,000 and simple flat fees, the platform is compelling." "Retail investors get their own slice of the trading strategies executed by multibilion-dollar hedge funds and asset managers." This is a way to give individual investors access to some of the best active managers in the business. HedgeCoVest’s ability to offer real-time fund portfolio selections is a key differentiator. HedgeCoVest Continues To Build An Impressive Roster of Leading Hedge Fund Managers. HedgeCoVest was designed to create an innovative, online marketplace for today’s investors searching for more transparent and secure options to allocate to hedge fund strategies. HedgeCoVest provides clients with benefits similar to a hedge fund, without many of the risks associated with commingled investments. Investors can monitor performance in real time and allocate or liquidate with the click of a button. "HedgeCoVest has developed a new liquid alternatives platform that we believe will revolutionize the way investors allocate to the strategies of hedge fund managers." We invite you to visit the platform! The HedgeCoVest UMA/SMA platform seamlessly offers hedge fund and IRA compliant strategies for all of your clients, using separately managed accounts.